Today, we would like to put the spotlight on Padme which works towards demystifying adoption and helps mitigate social conditioning which sometimes hamper the decision-making process. Padme seeks to make the whole adoption experience less overwhelming and provides a balanced approach while tackling concerns arising out of adoption. Gayatri Abraham, Founder of Padme (who you met yesterday right here on The Wonder Women World) gave me all the jaw dropping figures. She said that according to the latest report there are around 20,000 prospective parents in India and only 1,991 children up for adoption and added, “I can’t imagine that in a country like ours, there are only so many children who are available for adoption.” Neither could I. With the new guidelines by Central Adoption Resource Authority (CARA), an autonomous body under the Union Ministry of Women and Child Development and with adoption going digital, some of the processes have become clear and transparent and more democratic. But, having said that, Gayatri feels that technology has completely replaced the human emotion and connect. Essentially while one part of streamlining of the process can be applauded, it has created more vacuum than ever for children with disabilities, older children, siblings and children perceived to have lesser physical attributes (colour of skin, etc.). Prior to the digital route, social intervention and counselling could be provided for the potential adoptive parents. 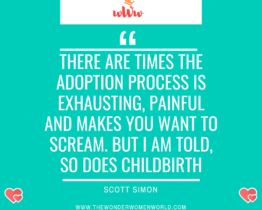 Some seasoned social workers feel that it has been a difficult road for children who are perceived as difficult to place even prior to the digital route Also, parallel adoptions (illegal adoptions) are on the rise, which always poses a problem. This made Gayatri re look at the level that she was operating on – if there was to be a change, it had to be done on a larger platform, involving all critical stakeholders and the society at large. This is when the idea of Padme crystallised for Gayatri. Her personal research indicated that whilst the process is streamlined to some extent, there are certain important missing links that needs to be bridged in whole context of adoption. Padme works towards building a comprehensive resource platform that bridges the gap between the current situation and adopting a new mind set on adoption. The need of the hour is to bring in all critical stakeholders on a common platform – adoptive and potential adoptive parents, the medical and legal community, counsellors, educators – and address the various societal, and process-related concerns. First off, the logo. Visually appealing for sure, but there was much thought put into creating it. Gayatri explained that Padme means lotus, and she believes the lotus is the perfect metaphor for this initiative. Given favourable conditions and the right nurturing, a lotus blooms regardless of the origins. Similarly, a child whether he or she is through adoption or the biological route without making any distinctions in our mind, will blossom in full potential when love and nurturing is unconditional. Padme is a comprehensive resource platform on adoption that will bridge the gap between the current situation and adopting a new mind set on adoption. Padme brings together all the stakeholders in the adoption ecosystem – potential and adoptive parents, adoptees, paediatricians, counsellors, educators and society a large and change the tone of conversations around adoption. 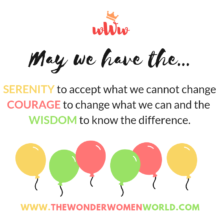 We works towards demystifying adoption and help mitigate social conditioning that stigmatises adoption (including but not limited to hard to place children), which sometimes hampers the decision-making process. Our intended takeaway is to make the whole adoption experience less overwhelming, and have a more balanced approach while tackling concerns regarding adoption. A first of a kind initiative in terms of bringing stakeholders together on a common platform, as a private entity in the adoption space. Open a basket of options to adoptive parents and for them to consider the option of parenting the hard to place children. Bridging gaps in mind-sets and adopt a new mind set while dealing with concerns regarding adoption. Work on social conditioning / biases that may influence or hamper the decision on adoption. Among the stakeholder communities – paediatricians and others in the medical field, counsellors, educators, legal community and the society at large (includes grandparents, immediate family etc.